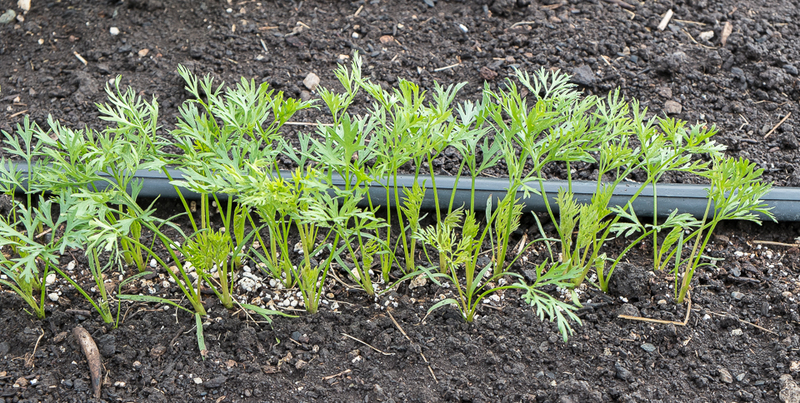 Carrots grow year-round in my kitchen garden. Perhaps that’s why I don’t look forward to them with the quite same anticipation I have for, say, asparagus or peas in the spring or the first frosted kale in late fall. Still, what other vegetable has the complex sweetness of a carrot? And carrots have preparations that distinguish them throughout the seasons. In spring and summer, they show up as salads, raw or marinated. 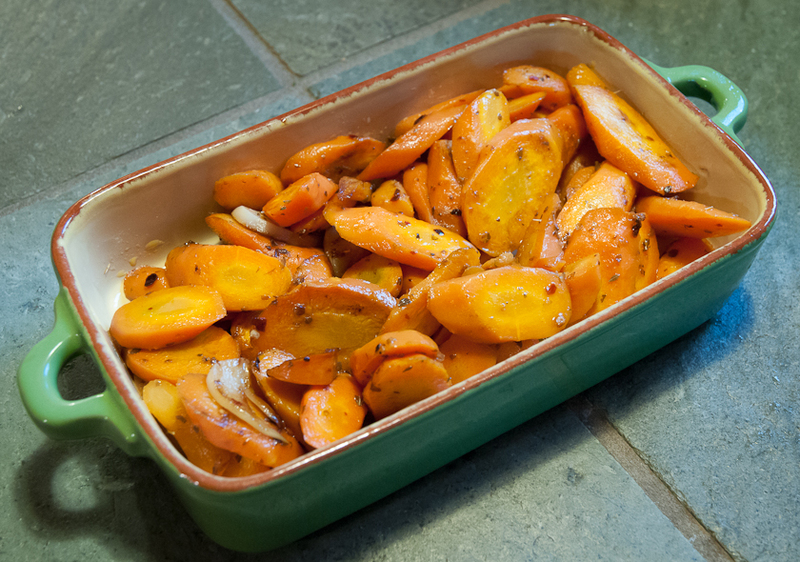 In fall and winter, softly caramelized carrots are part of a roasted vegetable platter or slowly braised with meat they are part of a stew. But carrots haven’t always been such an easy presence in my kitchen garden. My first attempts to grow them when I moved to the northwest over thirty years ago were disappointing both in germination rate and in flavor and it took me a while to sort out what wasn’t working. For germination, I finally succeeded by using the suggestion in Steve Solomon’s Growing Vegetables West of the Cascades to mix carrot seeds into fine compost and distribute this mixture along the row. 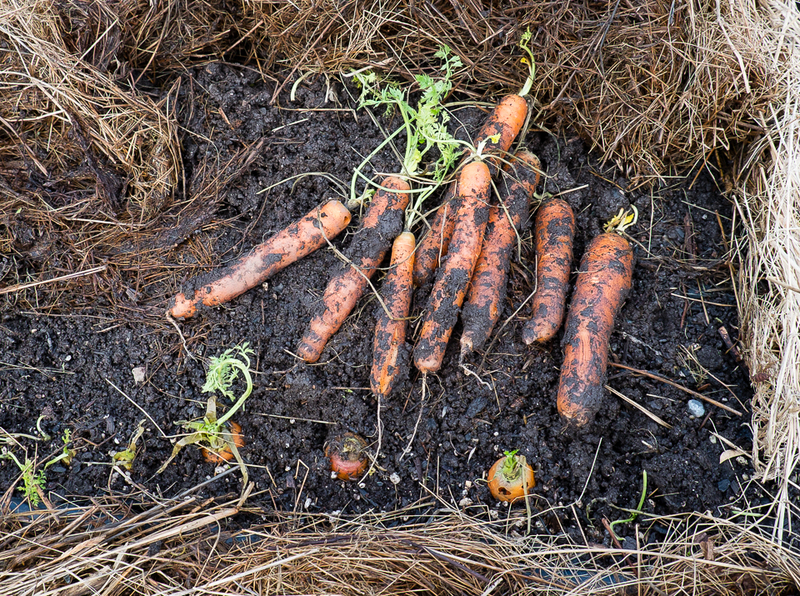 For a five-foot long row in my garden, I thoroughly mix a generous eighth of a teaspoon of carrot seeds into a half-gallon container of compost and spread the resulting mixture in a shallow, three-inch wide depression patting it down with a little more compost. With regular watering and a covering of Reemay, the seeds germinate in a week or two in their soft compost bed and the seedlings are usually spaced far enough apart to minimize the need for thinning. Once I figured out how to plant them and when to harvest them, the next project was to find carrot varieties that tasted really good. The Nantes varieties are especially sweet and I tried lots of them: Scarlet Nantes, Bolero, Merida, Nelson, Yaya and the eventual winner Mokum described in the Territorial Seed catalog as “still the finest fresh-eating carrot we know.” It’s the only carrot I grow now, even for over-wintering. I probably should branch out and try some others but for now, Mokum is the one. Mokum is an orange carrot but carrots do come in other colors. 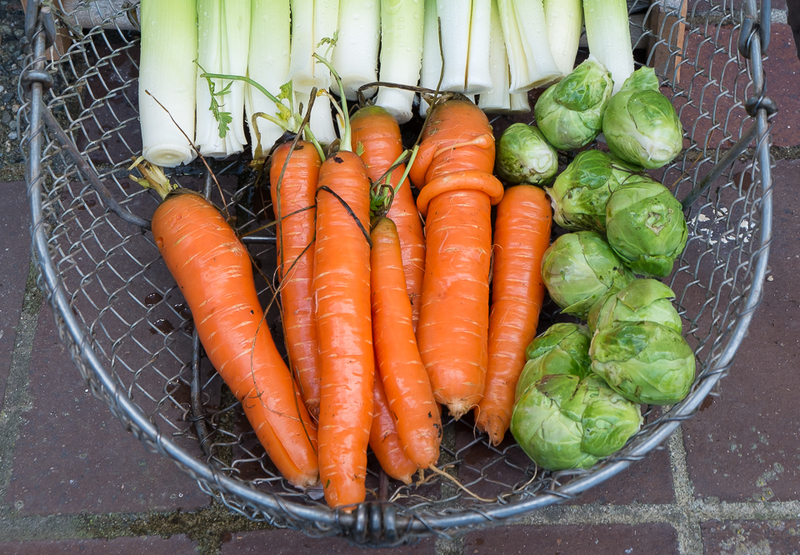 John Navazio, a Senior Scientist for the Organic Seed Alliance and a Plant Breeding and Seed Specialist for Washington State University Extension wrote an inspiring article for the National Gardening Association describing the best of the non-orange carrots and their health benefits. And in her wonderful new book, Vegetable Literacy (2013) Deborah Madison suggests more varieties of non-orange carrots. 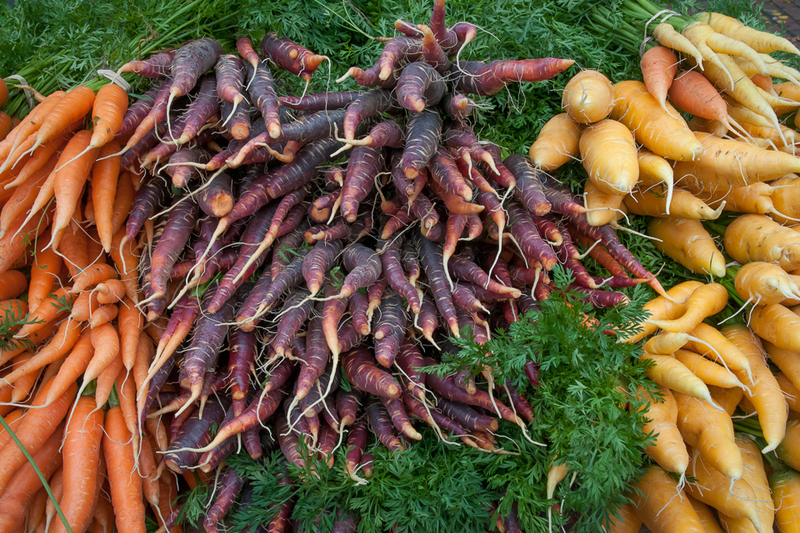 Yellowstone and Amarillo are two yellows; Dragon, Atomic Red and Cosmic Purple are purple with orange flesh; White Satin, Lunar White and White Belgian are white-fleshed carrots. Even more tempting, her recipes for “Ivory Carrot Soup with a fine dice of Orange Carrots” and “Carrot Almond Cake” made with yellow carrots may be what it takes get me to add carrots of another color to my favorite Mokum. 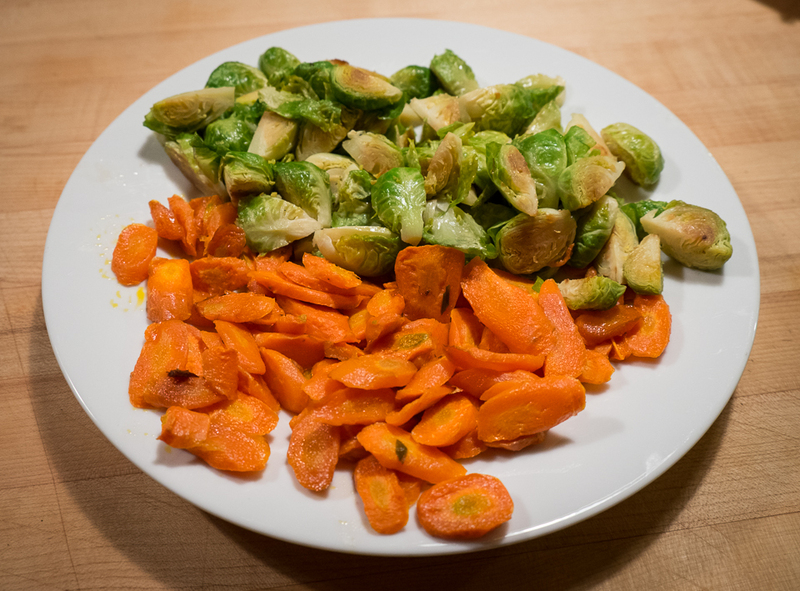 This entry was posted in Fall/Winter Vegetables, Spring Vegetables, Summer Vegetables and tagged Carrots, How to plant carrots, Multi-colored carrots, When to Harvest Carrots by Lopez Island Kitchen Gardens. Bookmark the permalink. I love the carrot in the basket with the baby carrot wrapped around! Now that’s love…. Just learned about your blog from Patsy Sangster last night. I’ve already learned a lot. I have a small p-patch I work on with students in Seattle. I’m looking forward to starting some carrots to winter-over next fall and to reading all your past posts.